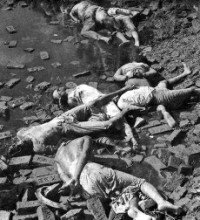 From the assassinations of Bangabandhu Sheikh Mujibur Rahman and the jail killings in 1975 to the August 21 grenade attacks four years ago, our political history has been ridden with violence. Most regrettable, perhaps, is the fact that justice has been served in very few cases, and the perpetrators have literally gotten away with murder. The massive public support to bring the war criminals to justice still exists. But little has been done to try these men and they have only gone on to gain political recognition.